This is a Recipe for preparing at home Thalipeeth Bhajani or Thalipeeth Atta for making tasty and delicious Thalipeeth as and when required using this fresh unadulterated Atta. 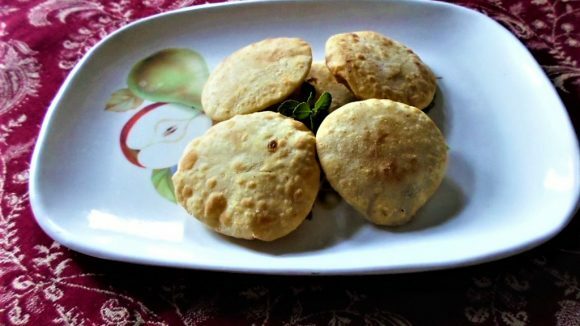 This homemade Thalipeeth Atta can be easily prepared at home by following this simple to understand preparation method described in this article. Roast the Millet, Rice, Gram Dal, Maize, Wheat, Black Gram, and Coriander Seeds on a slow flame until its color changes to light brown. Grind the above roasted ingredients to a coarse paste. Tips: Roast them properly on a slow flame. If the Bhajani is grounded to a coarse powder, the Thalipeeth will become tastier. Store the Thalipeeth Bhajani in a Plastic bag. The Thalipeeth Bhajani can be easily stored for about 5-6 months.